One of our goals this year will be to engage students via their own personal interests. At the beginning of the year we will give students a survey to gauge their interests in a variety of topics including sports, tv, music, and celebrities. From that point we will be using authentic resources to allow our students access to the language in these high interest topics. 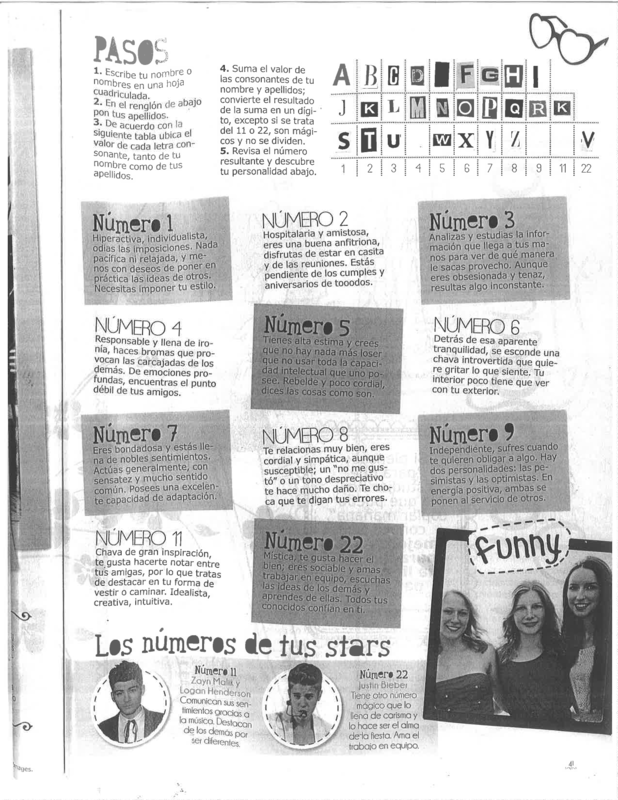 Last year we mentioned websites of several teen magazines in Spanish. And during our recent travels we were able to purchase some of these magazines. Some of them contained some very useful back to school articles. Below are some articles talking about back to school. First, “Los tips de Bombón para sacar un 10 todo el año”. 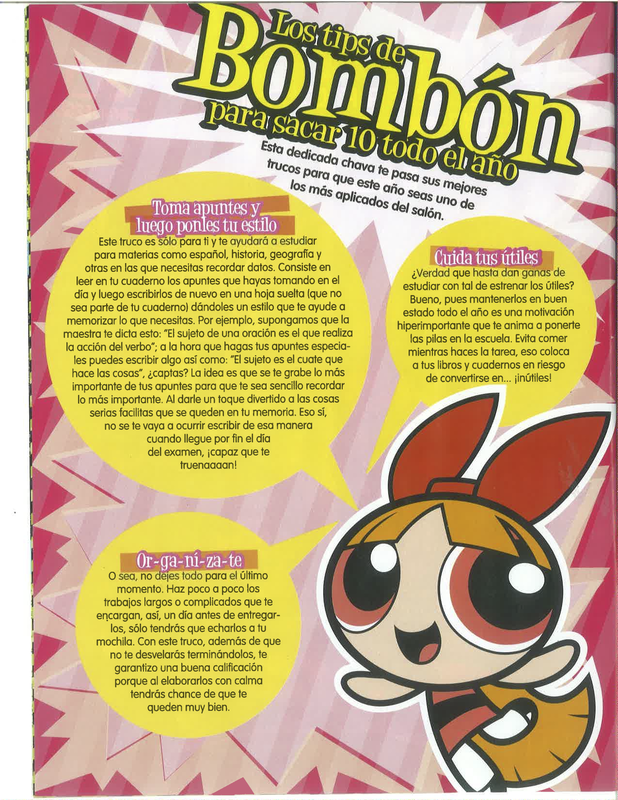 This comes from the La Revista Cartoon Network. (Año 12 Núm 157. 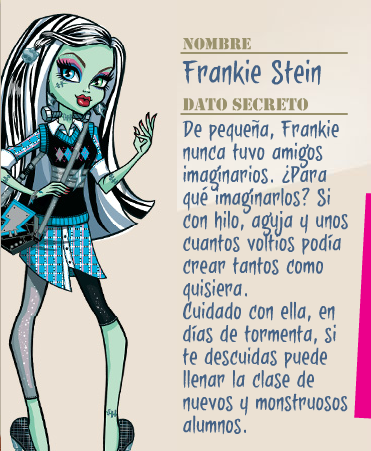 Agosto 2013) If you check out the cartoon network site you will find links for various tv shows which students watch including this biography from Monsters High, which is also a big hit in Mexico. If your students are practicing descriptions, why not let them read about characters they know and watch, rather than boring images from your textbook. Next, this 2 page PDF is a “Guía para sobrevivir al regreso a clases” which comes from “Tú” Agosto 2013 (see Bieber cover above). Click the image above to download the 2 page survival kit with great advice for students. Print this one out for students and have them read what they need to do to have a successful year. And with any authentic text, you can use it for all levels; change the task, not the text. Here’s another page of 8 tips to be successful in school. And lastly, what student doesn’t love to read their horoscope. Well, this horoscope (also from “Tú”) gives students the 4-1-1 on what’s in store for the upcoming school year. Click to download 4 pages of horóscopo del año escolar. We are going to leave you with one additional resource that you can use with students during the first days of school. This game has students add up the ‘points’ from their name to find their number. With your final number, you can read about your personality. It is FULL of cognates, comprehensible for lower levels even. What number are you? -Univision App. Last year I used this app for students to find articles that interested them, in topics of Sports, Music, Fashion, and more. This entry was posted in Resources and tagged authentic, authentic resources, back to school, revistas. Bookmark the permalink. Dying that I am just now finding your site!! Great ideas and resources, thank you SO much for sharing!! Welcome! Can we ask how you found us?